The full copy of the decision is set forth below. Law Office of Michael A. Conger, Michael A. Conger; and Richard H. Benes for Defendants and Appellants Award, Inc., Award-Superstars and Century 21 Superstars. Duckor Spradling Metzger & Wynne, John C. Wynne and Rose M. Huelskamp for Defendant and Appellant Gregory Britton. Law Offices of Jason L. Oliver, Jason L. Oliver; Law Offices of John W. Dalton and John W. Dalton for Plaintiffs and Respondents. Defendants Award, Inc., Award-Superstars, Century 21 Superstars and Gregory Britton appeal from an order denying their petition to arbitrate the complaint for gender discrimination and sexual harassment filed by plaintiffs Karena Wherry and Rocelyn Traieh. Defendants assert the petition should have been granted for a variety of reasons, including that in the contract executed by the parties they agreed to arbitrate all disputes, including those under FEHA (California Fair Employment and Housing Act; Gov. Code, § 12900 et seq. ), and the terms of arbitration were not unconscionable. We determine the arbitration provisions were unconscionable and therefore unenforceable and affirm. The relationships between plaintiffs and defendants were terminated in the spring and summer of 2007. After plaintiffs filed a complaint for gender discrimination, sexual harassment, and retaliation, defendants filed a petition to compel arbitration, which the court granted. Plaintiffs petitioned our court for a writ of mandate seeking to reverse the grant of the arbitration petition. Subsequently we issued an alternative writ of mandate ordering the superior court to vacate its order compelling arbitration and enter a new order denying the motion or show cause in this court. The trial court vacated its order and denied the motion without any explanation. Additional facts are set out in the discussion. “The procedural element of an unconscionable contract generally takes the form of a contract of adhesion, “‘which, imposed and drafted by the party of superior bargaining strength, relegates to the subscribing party only the opportunity to adhere to the contract or reject it.”’ [Citation. ]” (Little v. Auto Stiegler, Inc., supra, 29 Cal.4th at p. 1071.) “Substantively unconscionable terms may take various forms, but may generally be described as unfairly one-sided.” (Id. at pp. 1071-1072.) In the case before us both elements were present. The record reveals that is what occurred here. Both plaintiffs filed declarations stating that they were given the agreement when they first contracted with defendants and were told they were required to sign it if they wanted to work for defendants. No one described the agreement’s contents and plaintiffs were given but a few minutes to review and sign it, without any time to ask questions. Further they were never given a copy of the document. Defendants provided no evidence to the contrary. That plaintiffs initialed every page and signed the document does not vitiate plaintiffs’ lack of time to review the agreement or have a lawyer look at it. This is similar to Ontiveros v. DHL Exp. (USA), Inc. (2008) 164 Cal.App.4th 494, where, in a FEHA action, the court held an arbitration provision in an employment contract was procedurally unconscionable because the employee did not know she had agreed to arbitrate, the agreement was buried in a stack of other documents, the employee had no time to review it, and no one explained it to her. (Id. at p. 508.) Defendants attempt to discount this evidence by claiming plaintiffs were “sophisticated.” But again, they point to no evidence. Defendants also dispute that it was a take it or leave it agreement, claiming there were “numerous material terms” “not preprinted and either handwritten or typed by the parties.” A review of the record does not bear this out. Each agreement was a preprinted form titled “Independent Contract Agreement” (capitalization omitted) provided by the CAR that did contain some blanks. But the spaces to be filled in generally were not material: the date of the agreement, the name of the agent, the realty associations of which the broker was a member, the multiple listing services to which it subscribed, the address of the office, the amount of auto insurance plaintiffs were required to carry, and signature blocks. One additional blank was an indemnity and hold harmless provision, which referred to one of three exhibits attached to the agreements. These exhibits also appear to be preprinted although they do not bear the CAR name. In addition to indemnity the exhibits deal with compensation. Besides the signature lines, the only handwritten portions filled in blanks stating the beginning commission rate and an anniversary date. While compensation is material, there is no evidence that term or any other was negotiated, and in fact plaintiffs’ declarations at least imply if they do not actually state the information was filled in before the agreements were presented to them. In sum, nothing in the record supports defendants’ argument the agreements were negotiated rather than presented as take it or leave it. “Substantive unconscionability addresses the fairness of the term in dispute. It ‘traditionally involves contract terms that are so one-sided as to “shock the conscience,” or that impose harsh or oppressive terms.’ [Citation. ]” (Szetela v. Discover Bank, supra, 97 Cal.App.4th at p. 1100.) Plaintiffs claim there are several provisions that are substantively unconscionable, including that there is no provision for discovery, plaintiffs are subject to fees and costs prohibited by FEHA, and the limitations period is less than what is allowed by statute. In Armendariz, supra, 24 Cal.4th 83, the court held that a mandatory “arbitration agreement cannot be made to serve as a vehicle for the waiver of statutory rights created by the FEHA.” (Id. at pp. 101, 103, fn. 8.) To be valid, at minimum the arbitration agreement must require a neutral arbitrator, sufficient discovery, and a written decision adequate enough to allow judicial review. Further, it must include all remedies available in a judicial action and the employee may not be required to pay unreasonable costs or fees. (Id. at p. 102.) Elimination of or interference with any of these basis provisions makes an arbitration agreement substantively unconscionable. 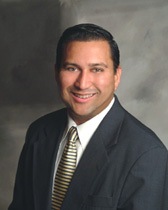 The terms of the arbitration manual violate Armendariz. That case directs, among other things, that where employment is conditioned on mandatory arbitration, the employer cannot impose on the employee costs he or she would not normally have to pay if the case were litigated in a court. (Armendariz, supra, 24 Cal.4th at pp. 110-111.) Thus, an employee will not be prevented from filing a FEHA suit because of extraordinary costs of litigation. (Ibid.) Here the manual does just that by providing the arbitrator may impose costs, including the arbitration fee, on the losing party. Defendants argue that the arbitration manual does not require plaintiffs to pay costs. Nevertheless it empowers the arbitrator to impose them, in violation of Armendariz. Defendants maintain that the arbitration panel “is able to award costs and attorney fees consistent with . . . Armendariz.” But again, nowhere in the agreements or the arbitration manual is that protection provided. In a similar vein defendants assert this is not a ground on which to invalidate arbitration because Armendariz held that a “mandatory employment arbitration agreement that contains within its scope the arbitration of FEHA claims impliedly obliges the employer to pay all types of costs that are unique to arbitration.” (Armendariz, supra, 24 Cal.4th at p. 113.) So it did but in that case there was no provision at all as to who would bear the costs, contrary to the terms here that expose plaintiffs to the risk of paying costs. That plaintiffs are independent contractors and not employees makes no difference in this context. The contract by which they were to work for defendants contained a mandatory arbitration provision. In an FEHA case, unless it would be unjust, a prevailing plaintiff should recover attorney fees, but a prevailing defendant is awarded fees only if the case was frivolous or filed in bad faith. (Chavez v. City of Los Angeles (2010) 47 Cal.4th 970, 985.) Here, the agreements provide that the prevailing party is entitled to attorney fees, without any limitation for a frivolous action or one brought in bad faith. This violates Armendariz. (Trivedi v. Curexo Technology Corp. (2010) 189 Cal.App.4th 387, 394-395.) Defendants argue this merely means the arbitrator has the authority to impose attorney fees in line with FEHA. But nothing in the agreement or the arbitration manual supports this claim. Moreover, the arbitration manual explicitly states that if the agreement provides for an award of attorney fees, they may be included as part of the award. As a backup argument, defendants assert that if the terms of the arbitration manual are unconscionable, the court can somehow disregard them and rely on statutory rules of arbitration (Code Civ. Proc., § 1280 et seq.) based on the agreement’s provision that if CAR declines to arbitrate the case or its CAR’s bylaws “do not cover arbitration of the dispute,” California law will be used. This does not persuade. First, there is no evidence the bylaws “do not cover” the claims in the complaint. Rather, some of the rules covering it are unconscionable. Second, the language of the provision does not lend itself to an interpretation that it is a fallback in the event defendants’ arbitration rules are found unconscionable. Third, Code of Civil Procedure section 1280 et seq. does not deal with all of the requirements under Armendariz necessary to enforce an arbitration agreement covering a FEHA dispute. We also reject defendants’ claim plaintiffs had to prove the CAR would not agree to arbitrate the dispute. Whether the CAR decided to arbitrate was completely within its discretion; the provision was entirely one-sided. According to the terms of the agreement, plaintiffs had no power to control this. In sum, the arbitration agreement was procedurally and substantively unconscionable, leading to the inevitable conclusion it is unenforceable. We agree with defendants that the general rule does favor arbitration and terms should be interpreted liberally (Gravillis v. Coldwell Banker Residential Brokerage Co. (2006) 143 Cal.App.4th 761, 771), but when the agreement is rife with unconscionability as here, the overriding policy requires that the arbitration be rejected (Armendariz, supra, 24 Cal.4th at p. 1278). The order is affirmed. Respondents are entitled to costs on appeal. forth in California Rules of Court, rule 8.1105(c). The request is GRANTED. The opinion is ordered published in the Official Reports.